Thank you for your interest to participate in the 5th Phase of SSC Group Parayan. We would post the fresh list with the chapter next week. Thnku so much sai FR the inclusion of my name in the Nxt phase f parayana . By Baba's grace and blessings and great efforts on moderators' part to keep the forum a place to go for all devotees of Baba, I was able to participate in all phases of Group Parayana so far. Kindly include my name in the 5th phase. who are in deep pain and need healing with power of combined prayers. - PRAYERS FOR THE WELFARE OF INDIA, OUR MAATRUBHUMI! - True purpose of knowledge is to enlighten the soul. from cancer & breathing problem and for startar ji's son’s hale and hearty life. Mrs Shyamala Nayar, who is suffering from cancer. for his complete cure & speedy recovery without radiation and for healthy long life. overcome from various problems and to get peace & solace in her life. for her speedy recovery and hale and hearty life. & solace in their life. Pracheta, Gayathri, kiran, Ashini, Jayashree and nisharjun. temple at Kondangi, Thiruporur district. to overcome from various problems and to get peace & solace in their life. fear from the life of devotees for whom Parayan would be performed! THANK YOU BABA for this wonderful ONLINE SAI FAMILY! We follow the ENGLISH SAISATCHARITA. The HINDI, MARATHI, GUJARATI SAISATCHARITA has 52/53 chapters. in the other languages too. OM SAI RAM, SRI SAI RAM, JAI JAI SAI RAM! "I wish to participate in Thursday Group Parayan"
allotted / completed every week. SAI FAMILY can come forward to do that particular chapter. and Thank you for your active participation in this noble cause. THANK YOU BABA for this wonderful ONLINE SAI FAMILY ! 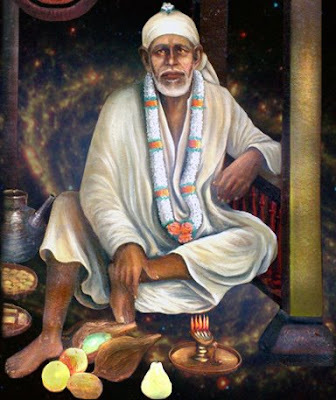 OM SAI RAM,SHRI SAI RAM, JAI JAI SAI RAM !!! With Baba's blessings i confirm my alloted chapter no.1. I confirm to read chapter No. 7.
we all pray to baba and thanks to all members of parayan group. Page created in 0.487 seconds with 71 queries.